A forgotten Wi-Fi password is not a new problem. It happens with everyone. Once you login from your computer through Wi-Fi several months ago, you forget the password when you need to connect another device. You try to find the post-it note where you last wrote the password or the diary where it ought to be there. However, you cannot find it when you need it and at times it becomes an embarrassment. An embarrassment as your friend asks you for the password and you have to tell them you don’t remember. They might end up thinking you do not want to share your connection with them. Luckily, there is a way to retrieve your Wi-Fi password. You don’t need to be a technical expert to retrieve your Wi-Fi password. All you need is to learn a few tricks to retrieve your password. The following paragraphs will teach you how to retrieve Wi-Fi password. It is quite easy to retrieve Wi-Fi password. All you need is a device that is connected to your Wi-Fi network. Switch on your computer or laptop that is connected to Wi-Fi network. 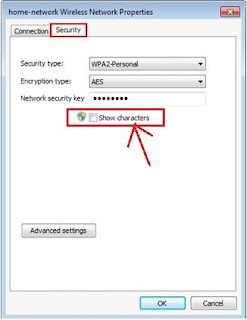 In most cases, the PC or laptop connects to the Wi-Fi network automatically using the saved password. This is the same password that you have forgotten! Now right-click on the network icon on your taskbar and click Open Network and Sharing Center. Now, click on the Connections and a new window called Wi-Fi Status will open. Here, click on the tab that says Wireless Properties. Another window with the name of your SSID will open up. On the new window that says Wireless Network Properties, click on the Security tab. Check the box that says Show characters. You will be able to see the password in the field Network security key. This network security key is your forgotten password. Isn’t it simple to find your forgotten password? And you were worried about how to retrieve Wi-Fi password. In case you do not have access to a device that has previously been connected to your Wi-Fi network, you can find your forgotten password by using this method. You need to open a web browser that is connected to your network. Open a browser and type the IP address of your router. It is mostly 192.168.1.1. You can even check out the default IP address of your router printed on the device. Enter the default username and password to open the router configuration page. Most default username and passwords are admin and password. In some cases, leave the username field blank and type password as the password. Once you login, search for Wireless or Wireless setting option. Once you reach this page, search for security or wireless encryption setting. Here, you will find security key or network key, passphrase or network password. This is the password for your Wi-Fi connection. There is no need to reset your password, if you are able to complete the above given simple steps. Just follow these instructions and you will be able to retrieve forgotten Wi-Fi password. How do i want to change my wifi password? I want to know my wifi password for my network WiFi? Cannot connect After changing my wifi password . what will i do ? Found on phone did some one put it on to spy on my stuff ?